Quite directly, it pays to be strategic with your financial decisions because they will impact the very way you live and enjoy your life. Having a financial plan is very important, but more than that, it must be structured and concise. Anyone can say that they have a goal, but can anyone honestly say they have a strategic plan? It depends on how much work you have put into the thought process and if you have sought help from a financial advisor. Consider starting a realistic plan in your 20s, have goals in mind and de-clutter any financial stress in your life. These factors will help you develop a strategic plan through the course of your life. What is your financial goal? This year alone, there are a variety of financial goals everyone should have in mind. For one, focus on getting rid of debt. It may be a long process, so you might as well start thinking about it early. Debt accumulates from school, credit card purchases, mortgages and other life events. Moreover, consider retirement. Aim for early retirement and speak to a financial advisor as to what that would entail for you. What about your source of income? Consider having several streams of income coming in for optimal financial security. Whatever your goal is, think long-term and how your finances will change over time. Consider your financial goals across a lifespan. Although you will have different priorities in your 20s as opposed to your 40s, there are specific steps that everyone must take. As previously mentioned, it’s best to start early. While you are in your 20s, consider establishing a personal credit and paying off your student debt (albeit, over some time). By the time you hit your 30s, you’ll want to start saving for retirement and consider getting a mortgage. Priorities will change with time, but a need to strategically think about your financial situation will always be there. Not having a financial plan can lead to financial stress. This will create a whirlwind of emotions in your brain and will leave you feeling anxious. It’s important to de-clutter whenever possible. For instance, go paperless. Furthermore, organize your financial records with a paystub generator. All you have to do is enter your payment information, and you can download an online payroll stub with the generator. Pay stubs are a record of employee’s wages, so it’s vital to ensure these are all correctly filed and kept. If you’re ever in need to request a loan, you’ll require proof of employment and your pay stubs will come in handy. 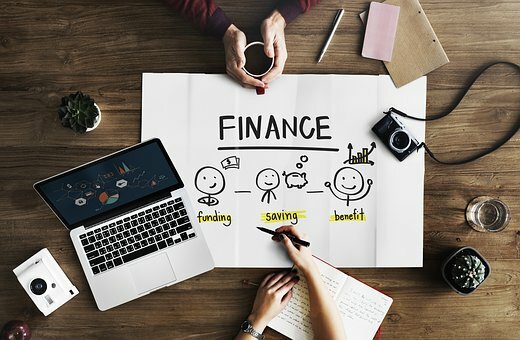 This article has made the point that financial planning is essential and must be well thought out. Without goals in mind, you’ll have a hard time realizing the importance of your finances. Moreover, different times in your life will bring different purposes, but everything will end with retirement. So, why not start thinking about it? Last but not least, financial stress comes as a result of not thinking about the methodologies of your personal finance system. Be prepared and have a financial plan set up. You’ll benefit at every stage of your life if you do.